Trooper Hurt In I-95 Crash Recovering And In Good Spirits | Schuler, Halvorson, Weisser, Zoeller & Overbeck P.A. FHP Trooper Mithil Patel who was injured near Bridge Road in Hobe Sound is recovering. The Florida Highway Patrol trooper struck by a car as he stood alongside Interstate 95 in southern Martin County “continues to recover and is in good spirits,” the agency said. 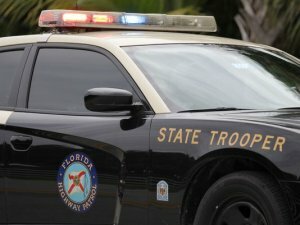 Authorities said Patel, 31, of Fort Pierce was struck in the right lane of northbound I-95 just north of Bridge Road, about 10 miles north of the Martin-Palm Beach county line. Patel was investigating an earlier crash involving a 23-year old of Pompano Beach, and the two were on the highway’s shoulder when one car struck another, sending it spinning into the men, according to a report. Patel was thrown by the impact. The dramatic video captured by WPEC-TV Channel 12, which had responded to the initial crash, drew national attention. Bottex, 65, suffered minor injuries. He and the driver of the first car, could not be reached. The other 24-year old driver, of Wellington, declined to comment.